We can find fundamental physics while meditating in unlikely places. My wife’s father had a fishing camp on a small island in a lake. He died when she was young. His remains lie in a village cemetery by a sandy track amid boreal forest. It is a lovely place. We visit it from time to time. 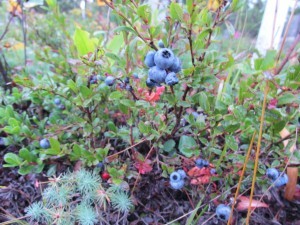 In the last days of August it is carpeted with tan pine needles, red bearberries, green mosses and blueberries. It’s the blueberries that get me thinking. They grow among the graves. They are delicious. But as I stuff a handful in my mouth, suddenly I think ‘atoms’ and then ‘Avogadro’s number’. Avogadro’s work forms the basis of the whole of theoretical chemistry. We now know Avogadro’s number more precisely than he did. One gram of hydrogen contains some 602,214,130,000,000,000,000,000 atoms. This number is so big because the atom is so small. It is so astronomical it has me thinking about atoms from the bodies in the graves. 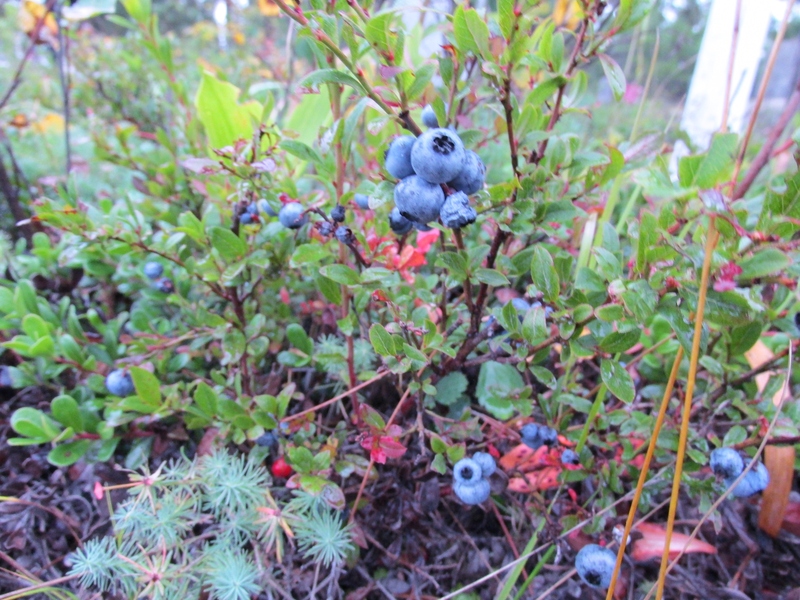 Some of the hydrogen atoms must move (as water for example) into soil and so some are incorporated into blueberries. I wonder: How many atoms from her father have I taken in today? It is a numbers game. Almost all the atoms in the human body are of three kinds: hydrogen, oxygen and carbon. Hydrogen atoms alone make up some 62% of them. So an average adult human has (says Avogadro) about 3×1028 hydrogen atoms. I am mindful that we take in almost all these atoms by eating, drinking and breathing. So let’s follow her Dad’s hydrogen atoms with a thought experiment: Let’s say one in a thousand of his 3×1028 take their leave each year. And one in a thousand of these stick around beneath the ground. And one in a thousand of them get taken up by blueberry bushes. And one in a thousand of those end up in the blueberries themselves. And let’s say I ate only one of perhaps a thousand blueberries that grow near the grave this year. How many of his hydrogen atoms are now part of me? More than a few it seems. Even with all these highly lowball assumptions, Avogadro’s number is so large the answer is about 30,000,000,000,000 of his atoms. Though I never met her father this thought somehow seems to bring me closer to him. And not to him alone. I picked hundreds of blueberries on my random walk. Each held atoms in vast numbers on Count Avogadro’s scale from all of those whose remains lie in the cemetery. As we head down the highway I am thinking too of all the hydrogen and oxygen and carbon atoms I am taking in with every breath, many of which I am keeping. Atoms from not only those who may be nearby in the forest but also—thanks to atmospheric mixing—from (says Avogadro) surely everyone who ever lived on planet Earth. It’s a whole new notion of recycling. From his grave Count Avogadro tells us that we share this world far more intimately than we usually think.